The U.S. probably won't be next. 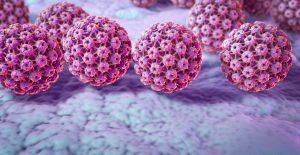 The International Papillomavirus Society has announced that Australia could become the first country to eliminate cervical cancer entirely. According to a new study, Australia’s efforts to distribute a human papillomavirus (HPV) vaccine for free in schools have been a resounding success. The sexually transmitted infection causes 99.9 percent of cases of cervical cancer. In 2007, the Australian federal government began offering the vaccine to girls aged 12-13, and in 2013 it was made available to boys, too. Girls and boys outside of that age bracket but under nineteen are also entitled to two free doses of the vaccine. Between 2005 and 2015, the percentage of Australian women aged between 18 and 24 who had HPV dropped from 22.7 percent to just 1.1 percent. Immunization rates have increased further since 2015, contributing to what’s being described as a “herd protection” effect. Coupled with a more advanced screening test that was introduced by the Australian government in December 2017, there are hopes that no new cases of cervical cancer will be reported within ten or twenty years. In the U.S., the HPV vaccine is not free. It can cost as much as $450 for the full regimen, according to the Association of Reproductive Health Professionals, although financial assistance is often available. In 2016, 78.6 percent of 15-year-old Australian girls, and 72.9 percent of 15-year-old Australian boys were vaccinated – but only 50 percent of American girls between 13 and 17, and 38 percent of American boys between 13 and 17 had received the vaccination, as per data published by the Henry J. Kaiser Family Foundation. Administering the HPV vaccine in schools has also proven to be effective in a trial that took place in Bhutan. Offering this kind of free access to the vaccine in other developing countries may seem like an expensive measure, but as the Australian example shows, it could ease the burden of cervical cancer down the line. Can “RoboSperm” Really Be Used to Fight Cervical Cancer?